Exactly three weeks since NVIDIA announced the all-new Pascal-based GeForce GTX 1080, the company has launched the new video card on the market. There are no differences in the hardware specs since the paper launch that we had on May 6, so the new GTX 1080 graphics card comes with a 16 nm GP104 GPU that features 2560 CUDA cores, 160 TMUs and 64 ROPs, as well as 8 GB of GDDR5X memory on-board that is served by a 256-bit memory bus. The GPU runs at 1607 MHz and reaches 1733 MHz in Turbo mode, while the memory operates at 10 GHz effective clock speed for total memory bandwidth of 320 GB/sec. The card comes with a TDP level of 180W and draws power from an additional 8-pin power connector. 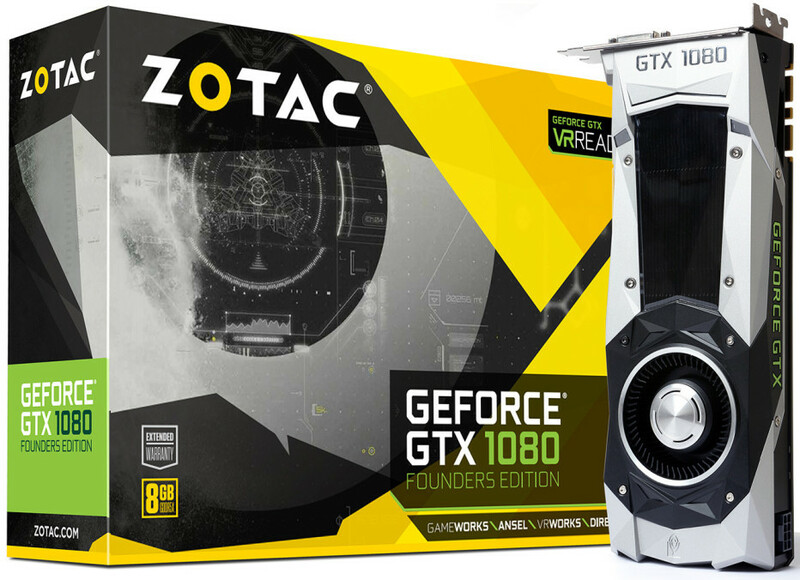 The GTX 1080 is now offered by numerous NVIDIA partners such as MSI, Manli, Zotac, ASUS, Inno3D, Gainward, Palit, Colorful and other companies. In case you are interested in it, then prepare to spend around USD 600-700 to own one.